Kathrin is a founding member and partner of the London based artist/architect collective public works, and she's also a founding member of myvillages.org. She grew up in Höfen, a village of 200 residents in Upper Frankonia, Southern Germany. In 2004 she started, together with the "Höfer Frauen" (an informal group of around 30 women from the village), "Höfer Goods". "Höfer Goods" derive from stories, skills, materials and ambitions amongst the group, and are launched annually during the village fete on the first weekend in October. A product designer from outside the village collaborates with the group on shaping ideas and developing new produce. Angelika Seeschaaf from eeaa Design has been involved in 2006 and 2008. I'm back for a week. Easter eggs decorate private front gardens and communal fountains. 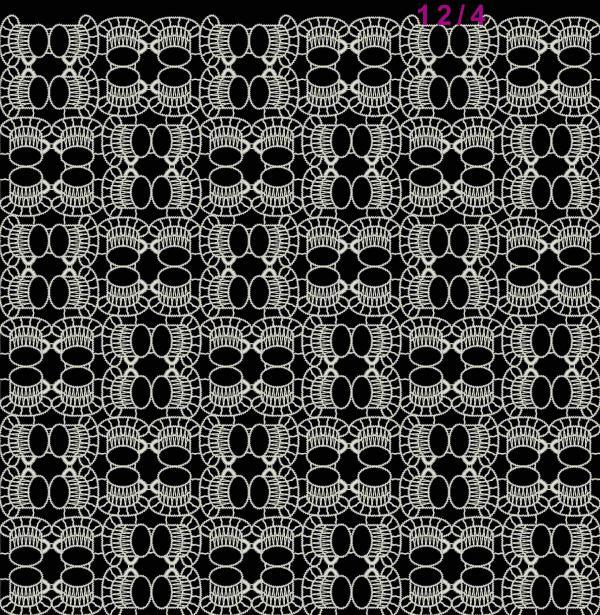 I need 30 cans of tinned clay and 36 meters of lace for the upcoming Myvillages exhibition at the Whitechapel Gallery in London. The clay is dug and I have to wash and knead it now. The friendly publican from the next village allows me to use his manual tinning machine again, which is normally used to preserve cooked meats. I have arranged to meet the Hofers who have a small family run lace factory, at the pub in Freudeneck, to hand over the lace and have a beer. After the phantastic opening and get together for the International Village Show in Leipzig, we're now organising an evening in the village to show some photos and films. 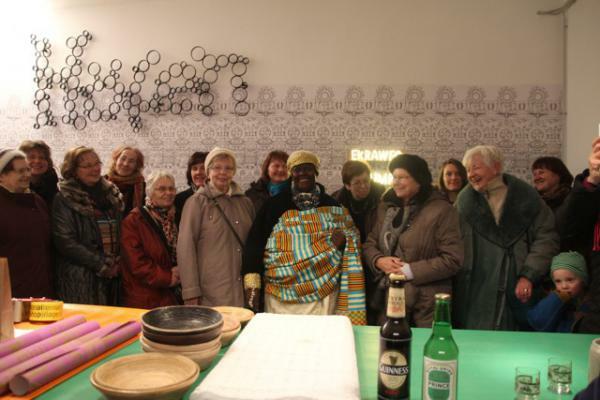 The group photos with The Höfer Women and Everlove from Ekumfi Ekrafo are pretty special, and Anita from Ebing will also show images from a visit to Ghana in 2013 which was undertaken by 20 people from the local parish. They went to Ghana with Father Thomas who sometimes works in Rattelsdorf. There are suddenly more Höfen-Ghana connections than expected and looking forward to the evening! 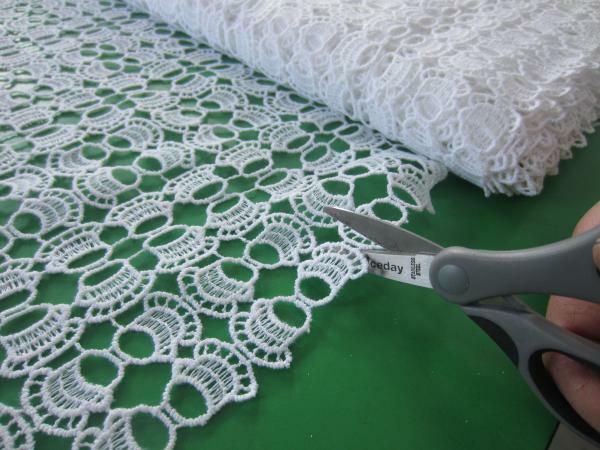 The lace has been made, and the making has been filmed. We're going to show both at the first part of the two year long International Village Show at the Museum of Contemporray Art Leipzig. 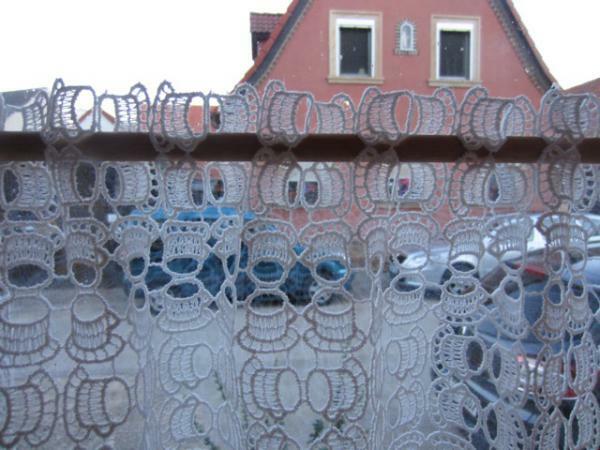 The lace will first be in use during a special coffee and cake session with the Höfer Women in Leipzig on Saturday 7th February from 3pm - in our newly refurbished Gartenhaus which sits next to the museum. The lace looks great by the way - pics soon. 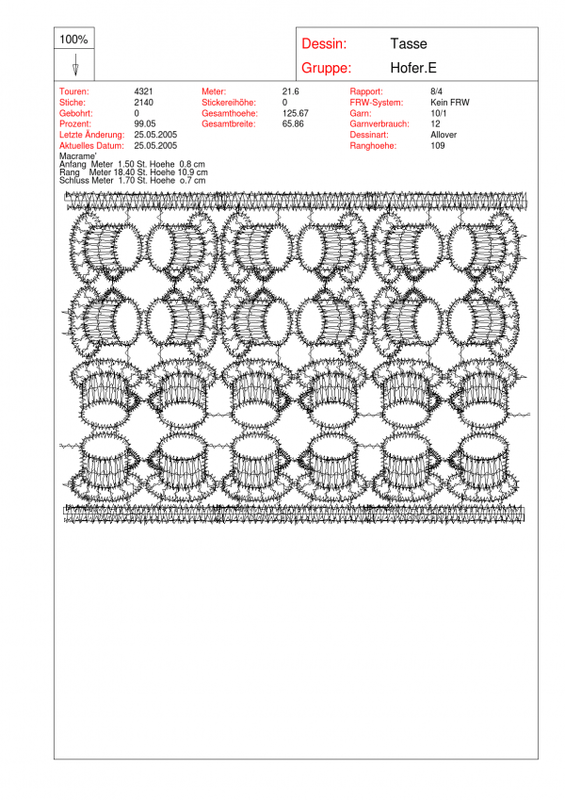 The design for the lace has been massively simplified to make it financially and technially feasible. We have an "Allover" now, which means we make a large piece and can cut smaller stripes, sheets, stripcs, etc. It's still "Kaffee und Kuchen" and I hope that the lace will be put down on all sorts of tables and amongts all sorts of groupd top talk about what Höfen is and could be.